This walking holiday in France takes in the wine region of the Alsace. Made famous around the world for the wonderful wine produced in this idyllic region, it offers a lot more to the traveller looking to enjoy walking in Alsace. We have graded this walking holiday level 2 on a self-guided basis, leaving it accessible to most abilities of walkers. 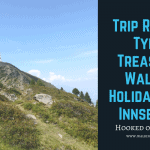 This hiking vacation in France is a jaunt of several days in the Northern Vosges Regional Nature Reserve, classed as a world nature site by the UNESCO Biosphere. Alsace walking tours always evoke memories of the history of France. As you travel along shaded trails you will discover the numerous ancient churches, fortified castles, military remains of the Maginot Line. You will see the sandstone summits covered with magnificent forests of fir, beech or pine. You will pass through little hamlets with their master crystal makers and stone carvers. Arrival in Wissembourg, north of Strasbourg. After settling into the hotel why not take a tour of the old town and museum. Day 2 Wissembourg – Lembach 14.3 miles 23 km, 749/714m up/down. Today your walk departs via the Col du Pigeonnier towards the Pfaffenschlick and the Soultzerkopf Arrival in Lembach where the Four Chaux, a former fortress of the Maginot Line is situated. Day 3 Lembach – Obersteinbach 11.25 miles 18 Km, 621/571m up/down. Today seems to be castle day as your walk takes you via the castles of Loewenstein and Hohenbourg. Later a little further into the walk you pass the Castle of Fleckenstein which was formerly one of the most imposing in the Vosges. Day 4 Obersteinbach-Niederbronn 10.3 miles 16 Km, 606/657m up/down. Today on your walk you will walk past the Castle of Schoeneck followed by the climb of the Grand Wintersberg, highest point in the Northern Vosges at an altitude of 581m. Soon you shall arrive at the spa town of Niederbronn-les-Bains via the Dittenthal and the Celtic Encampment. Day 5 Niederbronn-les-Bains to Ingwiller 13.5 miles 22 km, 733/729m up/down. Castle of Wasenbourg which overlooks the Niederbronn valley followed by the romantic remains of the Grand Arnsbourg. Your walking route today will take you through the beautiful Alsatian villages Oberbronn, Offwiller, Rothbach and onto Ingwiller. Day 6 Ingwiller to La Petite Pierre 11.9 miles 19 km, 589/423m up/down. From the valley of the Moder you go to Sparsbach and to the Englischberg after which you will arrive in attractive village of La Petite Pierre perched on her headland of pink stoneware. Day 7 La Petite Pierre – Saverne 13.5 miles 22 Km, 659/808m up/down. Once again a famous castle. The Castle of Hunebourg is a neo-Romanesque style castle, followed by the remains of the Daubenschlagfels. Soon this is followed by descent towards Saint-Jean-ls-Saverne and its 12th Century abbey church. Arrival in Saverne. A combination of 2 and 3 star hotels and country inns. By train to Strasbourg or flight to Paris and train to Strasbourg and onto Wissembourg.